Lectra announces the appointment of Gianluca Croci as Managing Director, Lectra France. Based in Paris, Gianluca Croci reports to Fabio Canali, President, Southern Europe & North Africa. Gianluca Croci will fulfil Lectra's promise to fashion companies in France: to facilitate the digitalization of their know-how in order to empower them to make a successful transition to Industry 4.0. This ambition is being realized by the 2018 launch of the revolutionary solution, Fashion On Demand by Lectra, which enables fashion companies to customize a garment or make it to measure. This end-to- end personalization offer—the first of its kind—complements a portfolio that is known to solve the pressing challenges confronting the fashion industry. The latest, Kubix Link, developed by Kubix Lab, a start-up acquired by Lectra in January 2018, is an innovative platform for managing product information. "France is known worldwide for being a leader in fashion and technological innovation. It is a country where brands, retailers and manufacturers have already begun their transformation towards Industry 4.0. I am proud to support our customers’ pursuit of greater connectivity and collaboration in their operations, as well as in assisting them to make the shift to personalization," says Gianluca Croci. 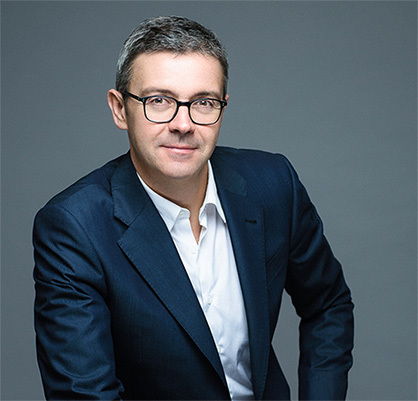 Gianluca Croci and his teams are committed to providing their French customers with the high level of expertise and service that characterizes Lectra's value proposition. Gianluca Croci's efforts are also tied to the dynamic activities of Lectra Southern Europe & North Africa. There are many synergies in the region’s fashion industry, ranging from the sharing of expertise between French and Italian companies to the integration into their ecosystem of the Moroccan and Tunisian subcontractors.